Whistleblower Reporting | Investor Relations | HC2 Holdings Inc.
HC2 Holdings, Inc. (“HC2”) requires its employees, officers and directors to comply with all applicable laws and regulations of the United States and the countries where HC2 conducts business. Violation of domestic or foreign laws and regulations may subject an individual, as well as HC2, to civil and/or criminal penalties. 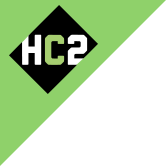 To assure compliance with applicable laws and regulations, HC2 has established various policies and procedures, including those referred to in HC2’s Code of Conduct. Employees, officers, and directors have an obligation to comply with these policies and procedures and to promptly alert a supervisor or the Chief Legal Officer of any deviation from them. HC2 has contracted Navex Global, a confidential and secure third party system, to facilitate Whistleblower reporting. Any employee or director who in good faith brings information regarding a violation (or potential violation) of laws, rules, regulations or this Code to the attention of any of his or her supervisors, the Chief Legal Officer or HC2’s Audit Committee (or any other director or officer) shall not be disadvantaged or discriminated against in any term or condition of his or her employment (including the opportunity for promotion) or otherwise retaliated against by reason of the employee taking such action.